Canada Takes Gold in Inaugural PanAmerican Roosterfish Tournament! 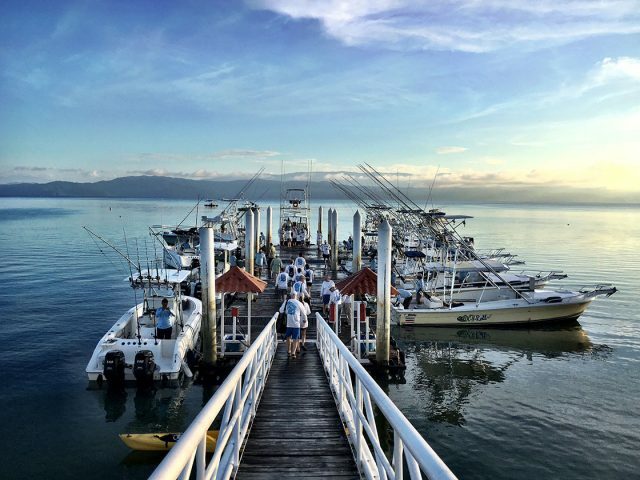 Crocodile Bay Resort in Costa Rica is home to an awesome fishing fleet. 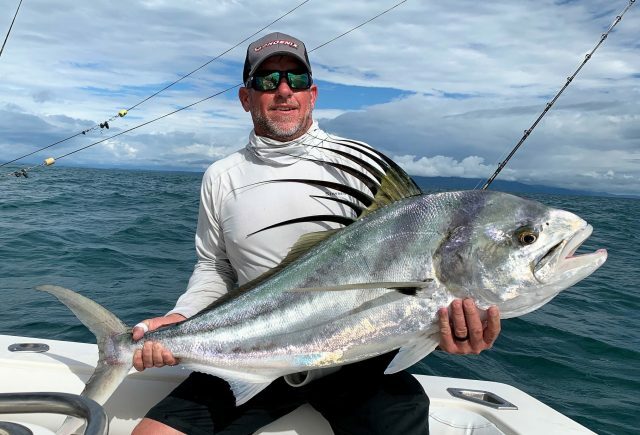 With all the excitement of a World Cup soccer match, 37 anglers from Canada, the United States, Mexico, Panama, and Costa Rica descended on the Golfo Dulce for the first PanAmerican Roosterfish Tournament. The event was hosted by the PanAmerican Delegation, USA Angling, and FECOP, the Costa Rican representative in the PanAmerican Delegation. The inaugural event was held at Crocodile Bay Resort in Puerto Jimenez, Costa Rica. The format was Olympic style and the delegation’s purpose is to organize tournaments throughout the Americas. The organization hopes to add sport fishing to the PanAmerican Games, combine with European events and eventually be added as an eligible sport in the International Olympics. Contestants who arrived early to pre-fish experienced great action. Jtodd Tucker, a professional bass fisherman from Georgia, took a rooster estimated at more than 50-pounds the day before. The bite was slightly off, at least by Costa Rican standards, once the actual competition started, however. With the catch and release format each fish scored one point for every inch of length measured from the tip of the head to the fork of the tail. This method was chosen because it is less stressful than weighing the fish and allowed for quicker releases back into the water. The Canadian team took a commanding lead early in the two-day event with a total of 147.5 points. Team Mexico was second with 81 points. Day Two saw Mexico win the daily with 201 points, followed by Team USA with 178 points. But Team Canada’s second day tally of 125 points was enough to earn the Gold Medal with an overall total of 272.5 points. Mexico won the Silver Medal with 199 points, just edging out Team USA (198 points) which settled for Bronze. 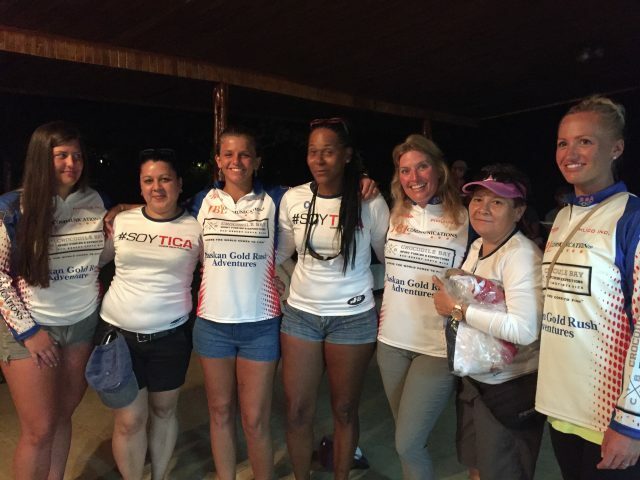 Two all-female teams (Costa Rica and USA) competed in this first-ever roosterfish event. Neither finished in the top standings yet both showed their male counterparts they are quite capable of competing on this level. The tournament also allowed all the teams to share conservation ideas that will benefit the fisheries in their respective nations. PanAmerican tournaments will be held in Canada, Mexico, Panama and again in Costa Rica in 2019. 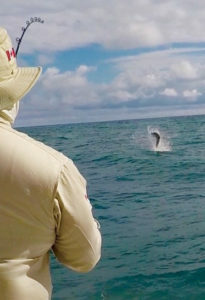 The September Costa Rican event will target tarpon.